Bathed in green, the undulating landscapes of Chishui offer a picturesque view. Located along the Yangtze River, in the remote and mountainous northwest of Guizhou Province, it is a key focus of China’s national poverty alleviation program. Chishui is also a target of the largest ecological conservation and land restoration programme (Yangtze River Shelter Forest Program) due to its ecological importance and high vulnerability to soil erosion. Bamboo can play a vital role and offers many ‘climate-smart’ benefits for local communities. It is able to sequester carbon at rates comparable to or even better than many tree species. Apart from this, it supports poverty alleviation and offers opportunities for improving livelihood. 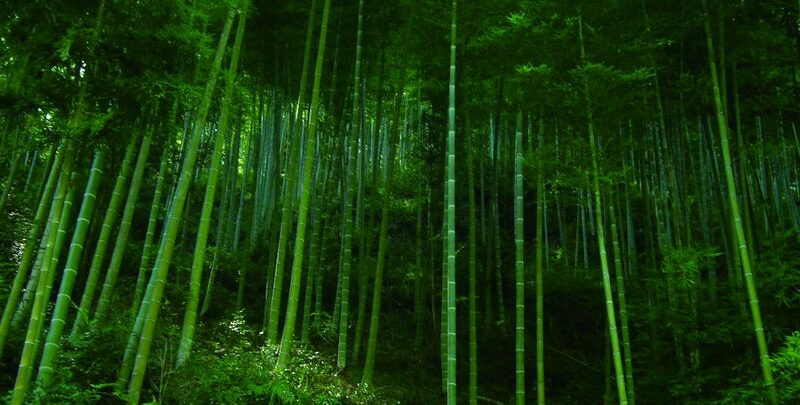 With approximately 300 species of different bamboos this region has rapidly developed its bamboo sector and is also addressing the issue of land restoration. At the base of the bamboo sector are the bamboo farmers who are now able to derive approximately 50 per cent of their livelihood from this. Although the region is rich in bamboo resources it still lacks optimal management and utilisation. 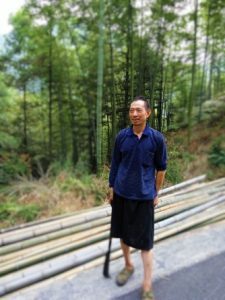 In order to get the most out of a bamboo plantation, for supporting livelihoods and for climate change mitigation, optimal management practices and planting techniques must be followed. There was an immediate need to address this and support the farmers in this region. Based on this need, the International Network for Bamboo and Rattan (INBAR) worked alongside the local Forestry Bureau with the support of the Swiss Agency for Development and Cooperation (SDC), to explore how communities can more effectively harness the potential of bamboo. The initiative introduced practical climate-smart land management activities on three pilot sites totalling 10 hectares. Out of the 10 hectares selected for the project 6.7 hectares was reserved for bamboo culm production while 3.3 hectares was set aside for bamboo shoots. As a part of this project 21 farmers were trained on site while 45 more farmers, technicians and policy makers were offered training at a gathering supported by Mr. Long Peizhong the Division Chief of Chishui forestry bureau. Before the project, the annual harvest was about 10 to 20 poles per mu* (1/15th of a hectare). After the program the harvest is higher and is approximately 50 poles per mu. For the bamboo shoots production on the other hand the farmers had an average yield of 50 kg per mu. After the implementation of the program the yield is roughly 350 kg of bamboo shoots per mu. Over time, the farmers expect to increase their yield further up to a maximum of 1000 kg per mu. However, the most pertinent breakthrough was the improvement of the income generated from the plantations. Initially, the farmers selected from the project site were able to earn around 2870 RMB. 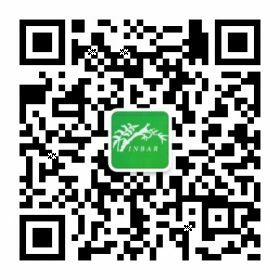 However, after the launch of the project they now earn approximately 9000 RMB which could grow further to around 13000 RMB. With the support of the Forest Bureau, they are planning to grow mushrooms and engage in poultry farming on their bamboo forests. 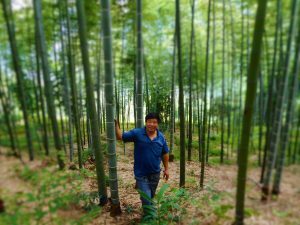 Qu Zhengqiang, another farmer in this region who was a part of the project focused on bamboo shoots. His forest land is spread over 100 mu. 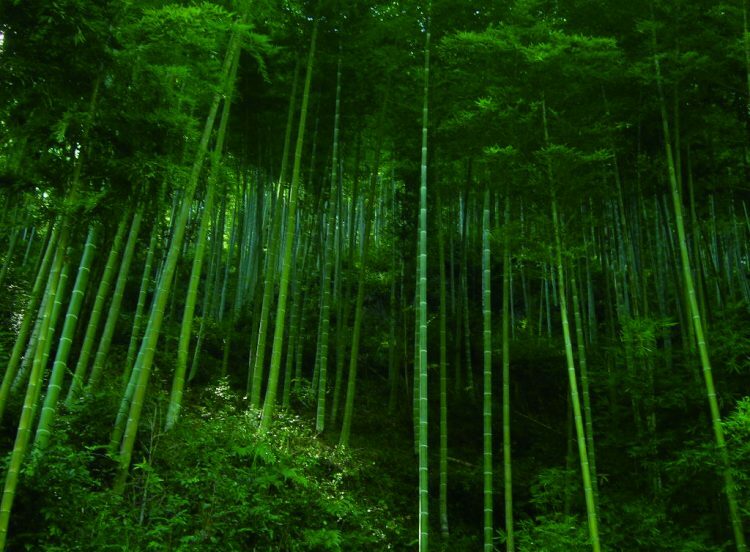 Initially most of the bamboo produced on this land could not support his earnings since the bamboo here grew haphazardly and had a thin diameter due to which the productivity was low. On deployment of the project, optimal management and growing techniques were introduced to his forest. This project has had an incredible impact on him and he can now earn approximately 12,000 RMB per mu – an amazing increase in earnings. The above offers a clear indication of the potential of bamboo and its direct impact on the livelihood generation capacity of communities. If the project is escalated it could directly impact hundreds of farmers and their families.